The popularity of using blogs as online dialogue journals to share day-to-day activities with virtual audiences has grown substantially in the twenty-first century. 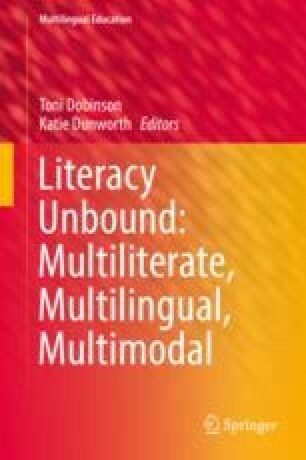 As learners in English as a foreign language (EFL) contexts are growing in number, research on the extent to which blogging can bolster EFL learners’ L2 development and intercultural competence is needed in order to contribute to the field of second-language acquisition (SLA). Specifically, studies situated within EFL contexts and framed by sociocultural theory (SCT) can provide dynamic and nuanced insights into how blogs as a digital platform can mediate and scaffold learners’ knowledge construction, acquisition of language skills and cross-cultural awareness shaped by a wider blogging community. The purpose of this chapter, hence, is to examine EFL learners’ language practices in the blogosphere as a social milieu. It is intended to enrich the discussion on the interplay between EFL learners’ cultural and linguistic repertories and their co-construction of new knowledge with authentic audiences. Empirical studies are critically reviewed through the SCT lens as an SLA framework to further explain how blogging can break the in- and outside-class boundaries and empower EFL learners. Research and pedagogical implications are also synthesized and highlighted by a selection of commonly used blog platforms for language teaching and research. Blogger is a free tool hosted by Google that allows users to easily create their own blog sites featuring themes, layouts, multimodal formatting (text, image and video), comments, stats (pageviews), campaigns (increasing blog visibility on Google) and multiple contributors. The Blogger app is also available for quick and easy publishing on a mobile phone. A WordPress Blog is one of the free options provided by WordPress.com. The flexibility to choose a personal blog, portfolio or website makes it popular with users worldwide. In addition to common blog features, such as customizable themes, user-friendly blog editor and multimodal plugins, it is also mobile friendly. As its name suggests, Edublogs is a blog tool widely used for various educational purposes, such as for teachers and students in K-12 classrooms or a whole school and university. Depending on demand, Edublogs can be offered for free with general features for creating and publishing blog posts like Blogger or for a fee as Pro and CampusPress memberships that provide more robust features, such as embedding videos and other multimodal tools in posts and integrating blogs into learning management systems (e.g., Blackboard). Mobile apps are also available to publish posts on the go. LiveJournal is a free social networking site that allows users to blog in journal or diary form. Users can choose a free membership that provides common blog functions in customizing, embedding videos and publishing one’s blog entries, or a paid membership that enables mobile blogging and texting. Its social networking vibe also features a ‘friends list’ to receive blog updates from the user’s friends. It also allows users to create a ‘LiveJournal Community’ to collectively post blog entries with multiple contributors who share similar interests of a subject matter. SpeakPipe is a user-friendly voice message tool that allows users to record, send and receive audio messages on one’s personal site or blog. It can be easily installed (embedded) in a personal or class blog where the audience can easily leave a voice comment using the built-in microphone on a computer or mobile device. The blog author can also reply to the received ‘voicemails’ on the go. As one of the most popular digital platforms for education, VoiceThread allows students and teachers to create, share and discuss threads in a collaborative virtual community. Students can upload an image or audio/video clip for their threads and reflect on their thoughts. Their audience (the teacher, peers and visitors) can also choose voice, text or webcam when leaving the comments. It is also mobile friendly and can be seamlessly integrated into a learning management system. Johnson, A. (2004). Creating a writing course utilizing class and student blogs. The Internet TESL Journal, 10(8). Retrieved from http://iteslj.org/Techniques/Johnson-Blogs/. Tan, Y. H., Ow, E. G. J., & Tan, S. C. (2006). Audioblogging: Supporting the learning of oral communication skills in Chinese language. Paper presented at the AECT Research Symposia, Indiana University, Bloomington, Indiana. Retrieved from https://pdfs.semanticscholar.org/1296/e3acd743707a64e58d2496be8fc2ca36960d.pdf.